Eric Bulatov is one of the greatest artists of Soviet unofficial art, of underground. His paintings often combined images and inscriptions. In his painting "Horizon" red carpet becomes an insurmountable barrier for those who want to escape from the harsh embrace of Soviet reality. Erik Bulatov is a Russian artist, who was raised in Moscow. 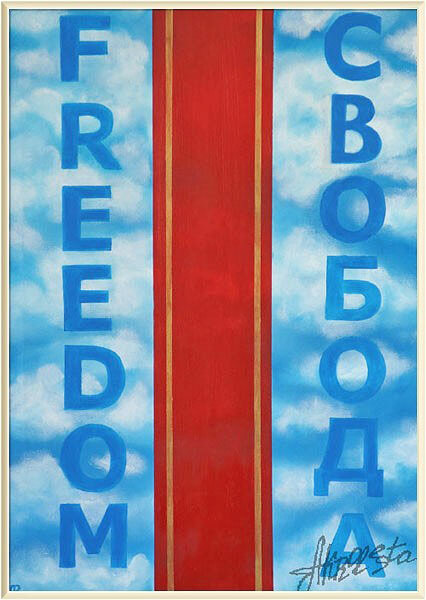 Bulatov's works are in the major public and private collections in Europe, Russia and United States.